tool like team viewer etc. So lets learn how to share‎ screens without any third party tool.As we all knows‎ Windows OS is full of hidden programs that are only limited to developer or geeks. Today we are going to learn about MSRA (windows remote assistance) executable.‎ MSRA is windows inbuilt remote assistance program‎ using which you can control remote pc's, share remote screens, provide remote support and much more. Lets learn how to use MSRA for remote sharing. 1. First of all click on startup and type command "MSRA"
Connect option will be unavailable. the invitation file and then entering the password. Note: You need to enable remote assistance service. password to connect remote PC. address too. Here are options. displayed, Select "Help someone who invited you". camera for video calling instead of buying one. "Security camera", monitoring your babies or other watch hours, without buying expensive standalone cameras! Oh yes, it is a matter of concern that you would buy a new‎ camera for the purpose but still if you want to save those few dollars/rupees, you can stick to this idea. Don't sell that old one in your pocket, it can still serve you well. Now the question arise on How-to-do stuff? Isn't it? Well there are certain right apps that would provide you with satisfying interface and make worth it. proves for this purpose. Unlike DroidCam (which require a similar application to be installed in windows), this app‎ works through your browser, giving you the compatibility and freedom to move over platforms. 2. Install the app IP Webcam on your phone. phone's camera (kill'em using task manager). 6. Enter this URL in your web browser and hit Enter. to Video renderer. Select Browser. 8. Next, you'll see Audio renderer. Select HTML wav. Now you're good to go. You'll see a live video feed in your browser. You can record it via browser. You'll get used to controls once you use it. Although there might be some problem in HTML wav audio‎ streaming, you can prefer VLC media player for this purpose. Download it from here (www.videolan.org/vlc/download-windows.html ) , install it. Go to Media>Network Stream and enter the URL generated from the app. locked but video feed experience is slightly better when phone's screen is on. EpocCam and PocketCam rule the app market in race of making your iProduct a better webcam. PocketCam is messy to configure, and gives access to only black n white video, no audio in free version. You can rely on the paid one to get better service. 4. Start the app on both devices. running EpocCam on the same Wi-Fi network. case, restarting the app quickly fixes the issue. ScreenPresso, etc. will work for you. 2. Connect both the devices to the same network. Fi IP listed on the main screen. from the video quality drop down menu. Good to go again. Use your phone as the webcam. The procedure is simple. EpocCam enables you to connect to Skype and use your iDevice as Webcam . 1. Install app on both devices, as mentioned earlier. 2. Start the app, it will connect automatically. 4. Now you'll be using your iDevice as Webcam. Skype on your PC will require the camera configuration. 1. Download and Install desktop version Skype app. 2. Sign in to your account and enter Tools>Options. 3. Click video setting under the general tab. 5. you are using. Select it. 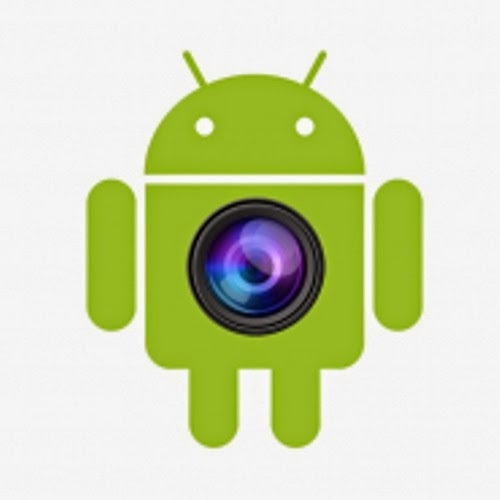 your phone as a webcam! hit the home button or lock your phone. of the world's 3 million ATM machines are runnnig on it. sending an SMS to compromised ATMs. standalone ATM with just the text messages. attached or hardwired inside the ATM. Connect a mobile phone to the machine with a USB cable and install Ploutus Malware. 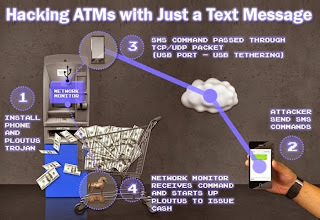 The attacker sends two SMS messages to the mobile phone inside the ATM‎ SMS 1 contains a valid activation ID to activate the malware. SMS 2 contains a valid dispense command to get the money out. 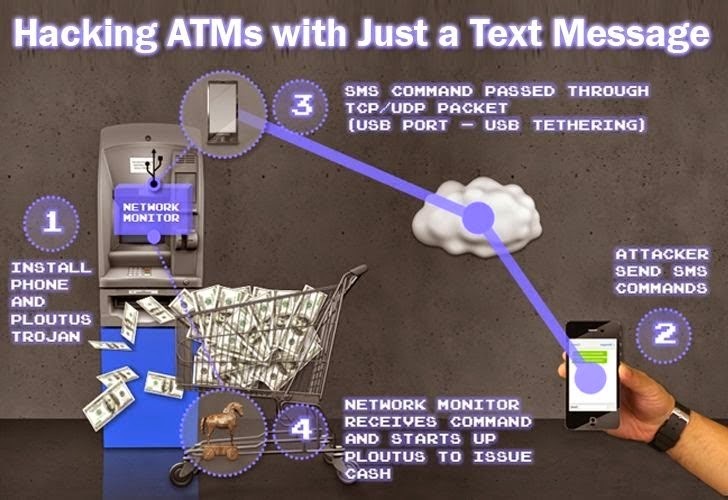 Mobile attached inside the ATM detects valid‎ incoming SMS messages and forwards them to the ATM as a TCP or UDP packet. Network packet monitor (NPM) module coded in the malware receives the TCP/UDP packet and if it contains a valid command, it will execute Ploutus‎ Amount for Cash withdrawal is pre-configured‎ inside the malware. Finally, the hacker can collect cash from the‎ hacked ATM machine. Researchers have detected few more advanced variants of this malware, some attempts to steal customer card and PIN data, while others attempt man-in-the-middle attacks. This malware is now spreading to other countries, so you are recommended to pay extra attention and remain cautious while using an ATM. Am very sorry i've not updated this blog in a long time it was due to some personal reasons. Now to today's post i'll be writing on how you can make ur PC or Laptop a hotspot for other devices. Follow these simple steps and you will be done in no time at all. N.B. The network name and password can be changed to anything you prefer. the router will actually throw back, whether or not the first four digits (of eight) are correct. Then, the final number is a checking number used to satisfy an algorithm. This can be exploited to brute force the WPS PIN, and allow recovery of the WPA password in an incredibly short amount of time, as opposed to the standard attack on WPA. attack, and yet none of the vendors have reacted and released firmware with mitigations in place. Even disabling WPS still allows this attack on most routers. Text in bold is a terminal command. Follow the guide that corresponds to the tool that you chose to use below. 3. Configure, compile and install the application. 7. Wait until it finishes. This tool makes it too easy. firmware update action going on in the near future, or else a lot of places are in a whole world of trouble. Sign in to Chrome for the best Chrome experience. Chrome can sync your settings, extensions, passwords, bookmarks and more. Open chrome settings page (chrome://settings) and sign in using your Google ID. Click here for more information on Chromesync. 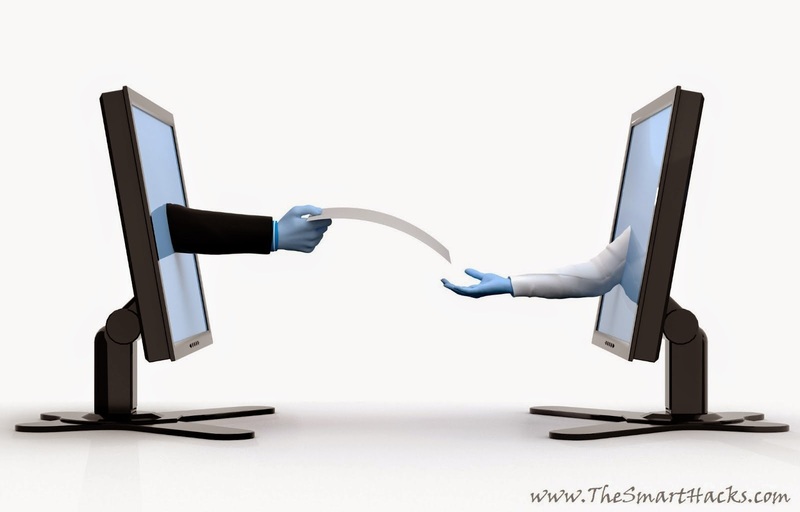 If you opt to sign in, check out the tab syncing between devices, including your smartphone. If you sign in to more than one device using Chromesync, check settings > recent tabs to see recent browsing sessions from other devices. Install and set up some apps for offline access.Useful while you are without internet (like, if you are on a laptop). You can view available offline apps here. Make Chrome look cool, cute or hot with Chrome themes! Get hundreds of them here. Use Task Manager on windows? We have something similar on Chrome. You can check out the memory usage by each tab, and kills some tabs, (just like, being able to do ctrl+alt+del and end some apps on windows). Press Shift + Esc to open Chrome Task Manager. You can import bookmarks from other browsers. Go to settings page and start searching for Import, and you will see the option to import bookmarks!. You can set up multiple profiles. A profile with your bookmarks extensions, themes and settings. Another one for your friend or family member who might share your computer, with their own settings and stuff. To do this, go to settings and search for Profiles, or open chrome://settings/search#profile from the addressbar. Click Add New User, and follow easy instructions. Ctrl + Shift + Del takes you directly to the settings page where you can delete your browsing history. Press Shift and click a link – Opens the link in a new window. Ctrl + 9 takes you to the last tab open on your current window. Ctrl + Shift + B toggles the bookmarks bar on and off. Ctrl + Shift + T reopens the last tab you closed. Google Chrome remembers up to 10 tabs you closed. Shift + Esc opens the Task Manager of Chrome, which will let you monitor system usage by each tab and kill tabs you wish. Type a URL, then press Alt + Enter to open the URL in a new tab. Middle click a tab to close it. Click and drag tabs to re-arrange their position. Drag a tab away to make it a separate window. Click and hold the mouse on the back or forward button on any tab to see the history of that particular tab. If you want to run a search query using copied text, right click and use “Paste and Search” No need of pasting it first and then hitting enter or clicking “Go” to run the query. If the text you copied is a web page, open a new tab and right click on the address bar to get “Paste and Go”, saves you one keystroke / mouse click each time ! To zoom in or zoom out on a page (to increase font size etc) hold the control key and scroll using mouse. Scrolling forward zooms in, while scrolling backward zooms out. Ctrl + 0 brings the page back to the default zoom level. Any text area ( like a comment form on a blog ) if you need more space, click and drag on the bottom-right corner to re-size the box to your choice. (Note: Website owners can disable this feature with some coding. If the website has disabled this feature, you will not be able to re-size the field. After downloading a file, you can copy it to the desktop or to any other folder by just dragging them directly from Google Chrome’s downloads bar ( yes, that small bar at the bottom of the page with download progress, when you are downloading a file ) You can drag a file from this downloads bar to upload files as well. For example, you downloaded a photo your friend sent to you via email. While it is still showing on your downloads bar, open Google Drive or Dropbox (or any website that supports drag and drop to upload). Drag the file from the downloads bar directly in to the upload field to start the upload. Easily bookmark a page clicking the “star” icon on the right end of the addressbar. You can do this with the keyboard shortcut “Ctrl + D” too. Use it as a calculator for basic calculation. Try typing 4*10 now! Open chrome://plugins to manage Chrome plugins. Note: These are not extensions. You will see the inbuilt PDF viewer, Native client and Flash etc here. Open chrome://flags to explore experimental features. These are the features that Google is getting ready for future versions of Chrome. To test these out, you can click Enable next to the experiment and restart Chrome. Right click within the omnibox and select Edit Search Engines to change your default search engine or add a custom search engine. Type in about:crash or about:kill to know how a crashed page looks like! Open chrome://sync-internals/ view information related to Chromesync. chrome://chrome-urls/ lists all available chrome:// URLs , explore it! Drag Downloaded Files to Desktop – Drag files from the downloads bar (the one that come up on the bottom of Chrome while you download a file and after downloading) to desktop or any other folder you want to move it to. Drag Text To Omnibox To Search (Try this now! select some text on this page, and drag it to the omnibox, to open Google search on the current tab. Drag Text To Tab Bar To Search In New Tab: Drag it to the omnibar, that is the area above the addressbar next to the mew tab button, to open search in a new tab. Drag Links To omnibox to open them in the current tab. Drag and drop files from your computer to Chrome addressbar to open with Chrome. This works with PDF files, images and html files. Hold Ctrl and click tabs to select multiple tabs and drag them away to make a new window with all selected tabs. On the Dev Console (Ctrl + Shift + J) try pasting the following code. console.log(‘%cWoohoo!’, ‘font-size: 300%’). You can do do some cool stuff with %c. Play with more text and css etc! Hold Shift while you refresh, for more refresh options. Right click any tab and select Pin tab to “save” it. Save? Yes, Chrome will remember the tabs you pinned and open them next time you open Chrome. Chrome will arrange pinned tabs to the extreme left of your Chrome windows. Another use for Pinned Tab: You already know about pinned tab on Chrome. I use it for two more things. When I pin a tab, the close button goes off, and I will not accidentally close it. Ctrl + Shift + D – Saves all open pages as bookmarks in a new folder. Right click any tab for additional options like – Close tab to the right, and close all other tabs etc. Right click and select Duplicate tab to create a new tab with same webpage. Fake your location on Chrome. Visit chrome://extensions and click on ‘view permissions’ on any extension to view permissions allowed to the extension. To clear an item from your Downloads page, right-click an entry and select Remove. Press Alt and click a link. – Downloads the target of the link. On Windows 8, select Relaunch Chrome in Windows 8 Mode to open Chrome in Metro Mode. If you have set up Chrome to ask you where to save downloaded file, Chrome will start the download in the background while you are deciding which folder to put that file in. You can take a break, and come back later to select a folder! Get all Google Toolbar features on Chrome, follow the guide. Make Chrome your note taking app. EASY! Save to Google Drive – Making it real easy to save files to Google Drive. Photozoom for Facebook – See photos in fullsize without opening them on Facebook. Feedly - For reading your Google Reader feed in style. Cloudsave - Save files directly to any cloud storage/image sharing site. Google +1 Button - For Google Plus fans. Chat for Google - Official Gtalk extension for Chrome. Awesome New Tab Page – Totally redesigned new tab page with tonnes of features. iReader - Distraction free reading on web pages. Make a Favicon only bookmarks bar for adding more number of links there. Go to the developer tools and use the console as a scientific calculator! 4. Click on Settings under Performance. 5. Click on Advanced tab. 6. Click on Change button under Virtual memory. to your pen drive size. 9.Click on Set button, then click on OK.